Update: read our Hands on Google Chrome Frame review. 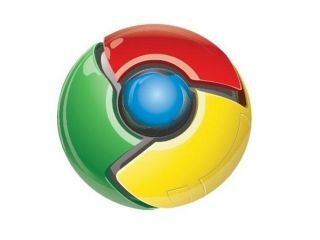 Google has offered out its latest weapon in the browser wars, with its open source Chrome Frame giving IE users the potential to take advantage of open internet technology. Although it is IE6 that remains the most maligned of Microsoft's browser products, it is interesting to note that the plug-in works for both IE7 and, funnily enough, Internet Explorer 8. IE8 is Microsoft's latest browser – but it has been criticised for its non-adoption of some open web standards. The plug-in, at heart, allows you to render pages in Chrome's WebKit-based engine, and Google does point out that this is an early beta of the tool. "One challenge developers face in using these new technologies is that they are not yet supported by Internet Explorer. Developers can't afford to ignore IE ... so they end up spending lots of time implementing work-arounds or limiting the functionality of their apps. "With Google Chrome Frame, developers can now take advantage of the latest open web technologies, even in Internet Explorer." Of course, many IE6 users are on corporate networks and won't be able to install the plug-in without administrative rights - which will lead to suggestions that this is more about the publicity than the actual product.